Selichot piyyutim, liturgical songs, are Jewish prayers for forgiveness. These special prayers are known to be recited on fast days and before Yom Kippur. Reciting these prayers allows believers to seek forgiveness from God by analyzing their deeds and misdeeds, and reminds them to behave better in the following year. This song is by Nikmat Hatraktor (Tractor’s Revenge), an Israeli band, and is called Adon Ha Selichot. The band converted the piyyut Adon Ha Selichot and a Sephardic piyyut into one song in 1990, which they performed in 2011. Zemirot are Jewish table hymns traditionally sung after or during Sabbath meals. Singing Zemirot enriches the celebration of the Sabbath by allowing family and friends to participate. A popular zemirot is called “Shalom Aleichem,” and is sung with the family on Friday nights to welcome the “angels of peace.” “Shalom Aleichem” originated in the seventeenth century. When translated into English, it means “peace unto you.” It is believed that how well a family has set up for the Sabbath – organized or in disarray – will lead to your family being either blessed or not. This hymn is very important because it welcomes angels into your home during the Sabbath celebration. Jewish people sing prayers and blessings on the day of the Shabbat. People wear special clothes, eat special meals, and light candles for the occasion. They also chant the Kiddush, either on Friday nights or Saturday mornings to begin Shabbat. The meaning of the Kiddush comes out of the Ten Commandments, “Remember the Sabbath day to keep it holy” (Exodus 20:8). The purpose of Kiddush is to sanctify the Shabbat and it is divided into three sections; they chant a section of the Torah describing when God rests on the seventh day. Then there is a blessing over the wine (b’rachah). Lastly, there is a blessing of the Shabbat as a whole. Jewish people will chant the Kiddush over wine, and the wine will usually be put into beautifully decorated cups in honor of the Shabbat. The type of music played by the Ashkenazi Jews of Central Europe is called Klezmer music. There are many different types of Klezmer music used for different purposes. 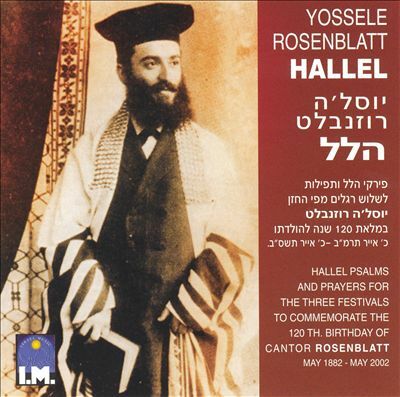 This song is an example of the kale bazingen, used as part of the Ashkenazi wedding ceremony. The kale bazingen (singing of the bride) involves music and recitation by the badkhn (poet), celebrating the happiness awaiting the newlyweds. There are other songs performed in the wedding, but this is the happiest of the songs. The album this song is taken from came out in Poland in 2014. Source: Magdalena Waligorska, “The Genealogies: Kelzmer Music and Its Tradtions in Kraków and Berlin.” In Klezmer’s Afterlife: An Ethnography of the Jewish Revival in Poland and Germany (New York, NY: Oxford University Press, 2013), 19. Jane Peppler, Nervez! Yiddish Songs from Warsaw Volume 3 (2014). Baqashot (meaning “requests”) is a Sephardic Jewish collection of worship songs sung on the Sabbath. The songs praise God and the Holy Land, but mostly describe one’s desire (or request) of God’s mercy and redemption. Baqashot books range in the number of songs, and can take up to four hours to complete. The origins of the tradition are unclear, those most think they originated in Spain at the end of the fifteenth century. The nigun first emerged in the eighteenth century with the rise of the Hasidic Jewish movement. As music was very important to Hasidic Judaism, the idea was to use this new style of music and melody as a new way to express religion in a way that was more spiritual than simply praying. Nigunim are preformed and composed in a variety of different ways, some are performed upbeat with intensive energy, while others may be performed slow and solemnly. This is done to provoke different feelings and emotions from the listener, with the idea that s/he will make a spiritual connection. Most characteristic of the nigun is the replacement of words with what is described as “nonsense.” These nonsensical vocal sounds, while much different than what may be considered to be “normal” still provoke a variety of emotion and spiritual feeling. Berry Weber, “Chabad Niggun,” Thank You Hashem (2011). Pizmonim are Jewish songs written for different occasions, holidays, and Shabbat. Many pizmonim are based on biblical texts and discuss believers’ relationships with God or love for Israel and Jerusalem. While some can be dated further back than the Middle Ages, there are also pizmonim written in modern times. New Pizmonim have been influenced by the younger generations to be based on popular, modern Middle Eastern music. Pizmonim are Hebrew texts set to the tune of Arabic music and are classified by the Arabic maqam, a system of notes, melodies, and phrases used in traditional Arabic music. Since some Jewish groups only permit singing in Hebrew, pizmonim allow people in the Arab region to sing these melodies and get closer to God without sinning. In the attached video, Gabriel Shrem sings Shabbat prayers in Maqam Hoseni. Gabriel A. Shrem, Shabbat Prayers in Maqam Hoseni. Source: Yossele Rosenblatt, “Avinu Malkenu Galeh K’vod,” Hallel Psalms. The Znamenny became the principal chant of the Russian Orthodox Church after it was imported from Byzantium in 988, at the time of Christianization of Rus’. Russian singers altered the chant to fit their own styles and it became more complex. There are over a thousand Znamenny manuscripts from the eleventh to the end of the seventeenth centuries. After the seventeenth century the chant was readable and could be found in songbooks. Old Believers continue to use this chant today. Source: Alfred J. Swan, “The Znamenny Chant of the Russian Church,” The Musical Quarterly, 26/2 (1940): 232-243. Church bells announce to the congregation that various events are taking place. There are several reasons that may elicit the ringing of the bells: announcing a birth or a death that has occurred in the community, a national, or local crisis or event, feasts, and normal church services. The bells are all different sizes, with specific names. The smallest, soprano bells are called “zazvonny”, middle alto bells are “podzvonny”, and the largest are “blagovestnik”. Rhythm is stressed as well as the length of the peals and melody. The bells are struck with a bilo, an oar shaped wooden mallet that has either 3, 4 or 5 holes drilled at the end representing the Holy Trinity, the Cross of the Lord or the Wounds of Christ. There are larger types and also metal bilas’. Upkeep and specific training is important to keep the tradition of Russian bell ringing alive. Kathisma, translating as sittings, refers to the psalms and hymns that are recited by Eastern Orthodox Christians and Eastern Catholics. In the fourteenth century monks recited a set of 150 psalms that are divided into 20 kathisma. Each kathisma is then divided into three staseis. The hymns are often called Sessional Hymns or Sedalen to avoid confusion since both the psalms and the hymns share the same name. They are troparia hymns that are generally one stanza long or a series of short stanzas. Following the chanting of the hymns, the ektenia occurs. The ektenia consists of the various petitions that are incorporated in the liturgy. The kathisma is significant because the readings are recited in their entirety every week and thus are constantly incorporated in the religious services. During Lent however, they are “accelerated” so that two can be done in a week. The Ectenia or litanies are sung or read at every Orthodox mass. Each one has a different meaning as a way to either bring peace to the people or as a way of asking for certain things, like mercy for those who travel, praying for the archbishop or for someone in power. After each proclamation, the congregation answers with “Lord have mercy.” In come cases, as in Greece, liturgies are sang during the week, not just on Sundays. It engages the entire church into a solemn prayer and is not accompanied by music; just the response to the priest who is engaging a prayer for peace, forgiveness and God. Dostoyno yest (It is Meet) by Ludmila Arshavskaya is a song popular in the Russian Orthodox church that praises Mary the mother of God as the Theotokos. It is basically a prayer in song form, and is sang during a church service. it is a relatively short song that focuses around giving thanks and praise to Mary for giving birth to Jesus. The Apolytikion is an Orthodox Hymn which is sung at various festivals and feasts. It is known as the dismissal hymn, and is chanted for the first time before the dismissal of Vespers, which is the first service of the day. 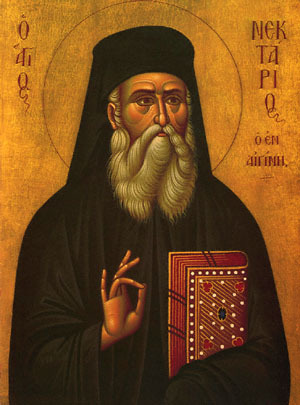 “Saint Nektarios (Nectarius) of Aegina,” Apolytikion and Kontakion. Accessed October 16, 2015. A chorale is typical form of hymnal singing in the Lutheran Church that consists of a long hymn with regular patterns in lyrics and is sung mostly in quavers. These hymns vary depending on their age and style but all varieties are commonly practiced. The most typical style is the harmonious singing which is referred to as the Bach style since Johann Sebastian Bach was well known for his work on chorales during the eighteenth century, but there are other less commonly practiced styles that do not include harmonization of the choir. Chorales have evolved over the years by replacing much of the slow paced music of the past with faster rhythms that are sometimes based around dance music. While a chorale is typically performed by choirs in church services many solo chorales have been made to be preformed for large audiences. One of the most famous chorales of the Reformation was written by Martin Luther, “Ein feste Burg ist unser Gott.” It is sung here by the Capella Fidiciana in Leipzig.